The mission of NDAD is to enhance the quality of lives of individuals facing health challenges. Charitable nonprofit NDAD -- the North Dakota Association for the Disabled -- was founded more than 40 years ago by concerned citizens for the purpose of assisting people with disabilities and health challenges in the state of North Dakota, many of whom were ineligible for services from other agencies. NDAD's reach also includes border communities in surrounding states. 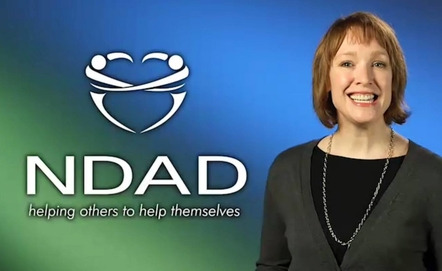 View NDAD's video about its services. 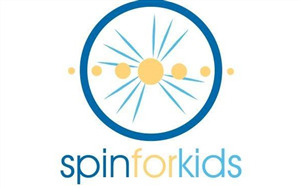 Click the link below to learn about NDAD's Community Fundraisers Program and how it may be able to assist someone you know. 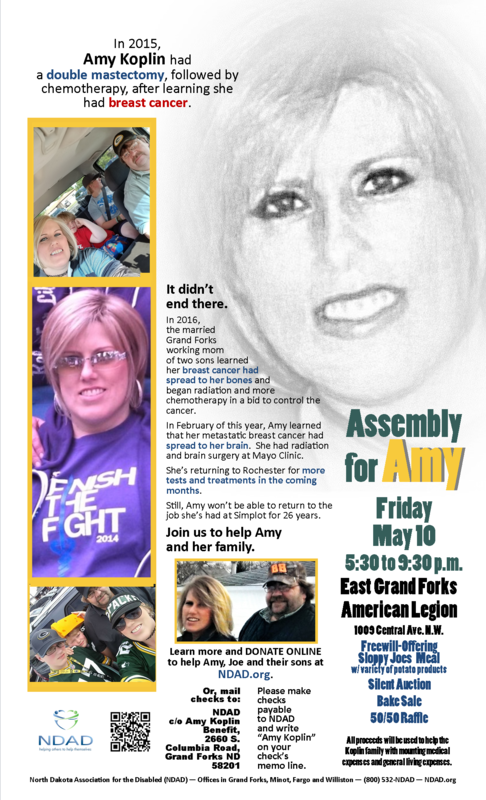 Click the fundraiser poster to learn more about this May NDAD benefit for Amy Koplin.